Other Responsibilities: Assists with open houses and events. Manages the student ambassador group and coordinates Explore Nursing Day. Hometown: Jackson, OH. Home of the Apple Festival. Hobbies/Interests: I enjoy fashion, style, fitness classes, sporting events, spending time with friends and family. 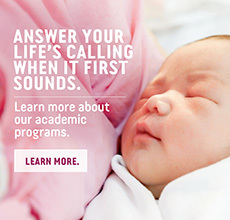 Why I like MCCN: Mount Carmel College of Nursing provides a direct entry nursing program, with small class sizes and a family feeling environment. Advice for Prospective Students: Use your resources, ask questions, and make connections.